CoilyQueens™ : What is your scalp health? Many people deal with issues of dry itchy scalp and slow hair growth, partly because of impaired sebum production due to age, diet and health. Oiling your scalp daily stimulates our own sebum to produce more effectively. Your hair needs lubrication to thrive. A diet full of foods rich in vitamin A and C will give you healthy sebum production. So it is not just what we put on top of our hair but what we put inside our bodies. Is it time to give your grocery list a makeover? Check out this list of foods rich in vitamins A and C, make a list of the foods you like from this list and eat them daily. Liver: (chicken or beef) a serving contains 150% of the daily value (DV). And if you are thinking of substituting cod liver oil in place of eating liver, then know that a teaspoon of cod liver oil has on 10% of the daily value. Not a whole lot. Sweet Potatoes: per one cup of mashed sweet potatoes you get 760% DV. Sweet potatoes pack a punch of vitamin A. Carrots: 1 medium carrot contains 204% DV and 3 baby carrots contain about 123% of the daily value. SO EAT MORE CARROTS!!!!!!!!!! Dark leafy greens: 1 cup of kale contains 206% DV fresh or steamed. Turnips 232% DV. Mustard greens 210% DV. Spinach 189% DV. Collards 133% DV. Butternut squash: 450% DV per one cup! WOW!!!!!!!! Dried herbs: Parsley, basil, dill and oregano. Sprinkle these on your food daily. Lettuce: Dark colorful lettuces contain 42% DV per cup of shredded lettuce. Cantalope: contains 120% of daily value of Vitamin A per cup of melon balls. Pick the foods that you like from this list and start adding them into your diet in a big way. In no time your hair will be more lubricated and your hair growth will increase by 50%. You will also save on product because you can apply less oil to your hair, due to your own sebum increase. Delicious salads full of vitamins A and C and more! Mix all ingredients together with the desired amount of Italian dressing. Add the desired amount of Italian dressing. BAM!!!!!! 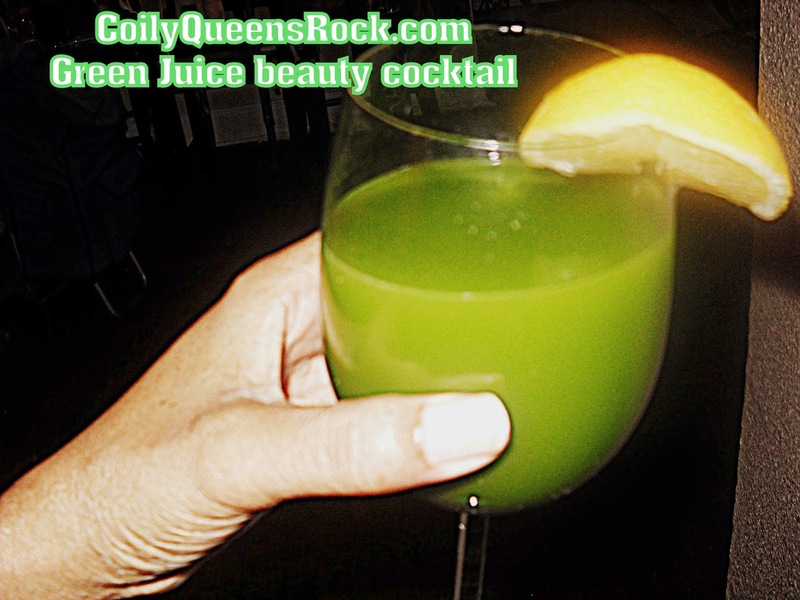 Juicing is a great way to create a healthy sebum flow and hair growth. I started drinking green smoothies a few weeks ago, and I do see a difference in my energy level and skin. I'm sure it's also benefiting my hair. I mix filtered water, coconut water, spinach, kale, apple, pear, banana, 1/2 lemon (all organic) in a high-powered blender and it makes enough for 2 1/2 huge servings. Tastes great and very cleansing. I like your cabbage recipe. I don't eat cabbage often and have never tried red cabbage. I'm going to add those now! I had to learn to like cabbage and I only eat it with the recipe above. Can you share with me what juicer you use to make your smoothies. They are so expensive and I want to make sure I make the right purchase. I do make fruit shakes with my blender, but I would love to make smoothies like yourself. I do eat lots of raw veggies, at least 2 medium carrots daily and a spinach salad. Yummy! But these blenders are now sold in a numbers of places like QVC, Costco, Whole Foods, etc. It's an amazing piece of machinery and does a great job of breaking the cell walls of the fruit/veggies so you get the most nutritional value from your recipes. Let me know if you need anymore info. Blessings!!! Thank you! I have heard of the vitamix it sure is expensive. Will have to save for this one. I bet it is worth it.